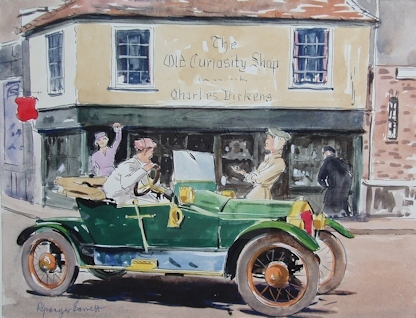 Christies on 1st November 1999 (Lots 19-22) sold a series of watercolours of vintage and veteran cars that look like illustrations for a book. Full page illustration in The Motor magazine 1st February 1938 entitled ‘Skylights and Headlights’. 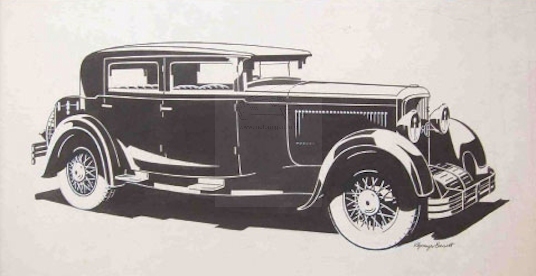 Pen and ink illustration of a Panhard & Levassor saloo n .